Swedish premium luxury automaker Volvo’s Chinese owner Geely is all set to unveil its first-ever MPV concept at the upcoming 2017 Shanghai Motor Show. Ahead of the official unveiling, the automaker has released the teaser image online giving us a hint how the people mover is going to be like. It is clear, that Geely will focus on the spaciousness and comfort of the occupants along with practicality and stylishness as well. 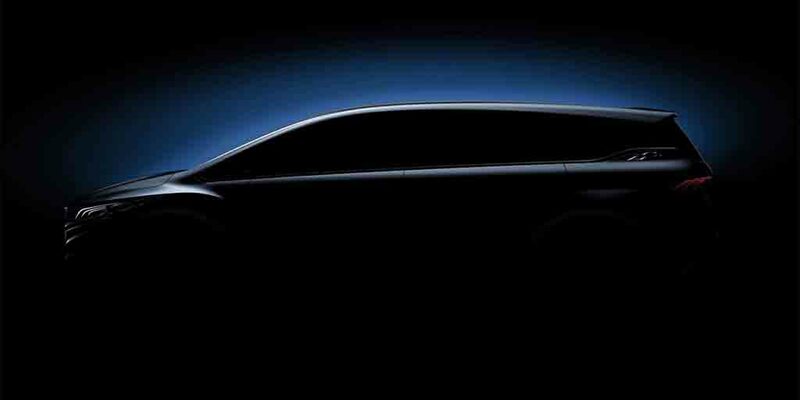 The silhouette of the Geely’s MPV concept reveals the lengthy outline of the vehicle. It gets sharp and sleek headlamps with integrated LED daytime running lights. Expect a large radiator grille to be there up front along with a large bumper. At the side profile, the Geely MPV could get flared wheel arches housing sporty looking alloy wheels. The side would also boast smooth lines and blackened B and C pillars delivering a pillar less look. It would arrive with a floating roofline design, while the rear would get wraparound LED taillights and a roof spoiler as well. The rear bumper would get a crafted appearance. Being a people mover the Geely vehicle would boast plenty of space inside the cabin. Also, The Chinese automaker could use Volvo’s expertise in making the interior luxurious. Expect it to receive several upmarket tech and features enhancing the appeal. It will come with a three-row seating and could offer space for a seven occupants. The powertrain detail is yet to be disclosed. But expect it to get a fuel efficient and decently powerful engine under the hood. The car could arrive with a hybrid powertrain as well. Transmission options would include both manual and automatic gearbox. Geely is yet to reveal any detail about the production of the concept. But, if the concept gets positive response, then we can expect it to hit the Chinese market in near future.